When you’re leaving most of what you know behind for a new adventure at college, having your car on campus with you can be reassuring. Plus, having your own wheels will give you the freedom to explore your new hometown and go on spring break getaways to South Padre Island (to study, of course). There are some important things, however, to take care of first. Things like car insurance, rules of the road, parking on and off campus, and driving in new terrain are all smart things to consider in advance. Each state has its own rules and intricacies, so we’ll look at Texas as an example in this article. Be sure to research your own state’s laws. Here are six strategies to start your car ownership the smart way at college. Already got car insurance? Great! Just make sure to let your insurer know you’re moving. If you’re attending school out of state, your insurance company may allow you to stay on your original policy so long as your vehicle is registered at the original address listed on the policy. 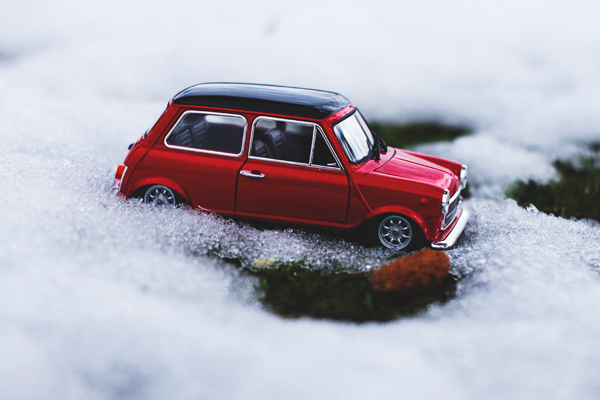 Additionally, some states like Texas have unique car insurance laws that can be a tad tricky to navigate—with things like no-fault limit requirements and residual bodily injury and property damage liability. But don’t fret! Your insurer can help adjust your policy accordingly so that your coverage is up to snuff. Most insurance companies allow you to stay on your parents’ policy, provided you’re a full-time college student. Why stay on their plan? It could be cheaper, and continuous insurance can help you avoid a lapse in coverage that makes getting your own car insurance more expensive down the line. Texas car owners must carry the following minimum coverage: $60,000 bodily injury liability coverage for each incident, $30,000 bodily injury liability for each person, and $25,000 property damage coverage for each incident. These are the bare minimum though. Depending on your new driving habits (driving more or less, for example), it may be a good idea to increase coverage limits. If you’ll be schlepping around a lot more for work or to and from class, upping coverages can help you steer clear of financial woes after an accident. According to the Insurance Research Council, 13.3% of Texas car owners were uninsured or underinsured in 2012 (the national average at the time was 12.6%). Thus, it’s a good idea to add uninsured motorist coverage to your policy. While it’s not required in Texas, it can be a godsend in the event of something like a hit and run. It’s also wise to consider adding personal injury protection, since the minimum coverage only covers the costs associated with the repairs and injuries of other parties. In other words, without personal injury coverage, you’d have to pay for your own car repairs and medical bills in an accident you cause. While you’re updating your car insurance, be sure to ask about good student discounts. To qualify for them, you typically must be enrolled as a full-time high school or college student, maintain at least a 3.0 GPA, and be under the age of 25. You might be eligible for the discount even up to a year after you graduate. It doesn’t hurt to research collision and vandalism rates in your new college town, since both can impact how much you pay for insurance. If you’re concerned about theft, vandalism, and higher insurance premiums, adding anti-theft devices (like LoJack or OnStar) not only helps prevent theft but may also earn you a discount, thereby offsetting the possibility of an increased premium. Likewise, safety devices (side and dual airbags, lane-change assist, back-up cameras) could earn you discounts while also helping you stay safe on the road. Universities are notorious for doling out parking tickets. Even if you’ve camouflaged your green Mazda in a blanket of foliage behind the dumpster, it’s safe to assume that the eagle-eyed parking officer will pounce on it. Check the school’s (and city’s) parking policies and make sure you have all the necessary info handy when applying for a permit (driver’s license, registration, proof of insurance, school ID, and housing info). Some campuses may have a mix of campus-enforced and city-enforced parking areas. Remember, you’re responsible for knowing and obeying the rules of the road, even if they’re hard to find or understand. As a paragon of scholastic achievement, you’re probably also a pretty awesome friend. Before you lend your ride to friends or dorm mates, though, remember that auto insurance follows the car—not you, the driver. If you lend your car to a study buddy and he rear-ends someone on his way to a study group tailgate party, you’re on the hook (or rather your insurance company is) whether your friend is insured or not. As a result, you’ll likely see an increased premium (and perhaps bruised relations). Finally, it has to be said—never get behind the wheel of a vehicle (car, motorcycle, watercraft, etc.) when you have been drinking alcohol. Have a well-established plan for what to do if you end up in situations where you need a ride and are not able to drive. Continue making good driving choices and your insurance company will continue to see you in a benevolent light—namely, in the form of lowered rates. More importantly, though, it keeps you and those around you safe, and your future that much brighter. Mark Simmonds brings 20 years of insurance industry experience to his role as Managing Director and Chief Product Officer at Esurance. His diverse expertise in many areas of the business, including car ownership tips, helps shape his writing.